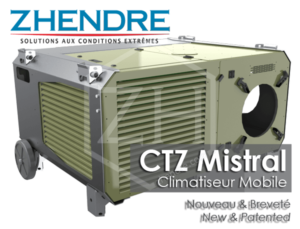 ZHENDRE tent air conditioners originally developed for and in collaboration with the French army, are now used worldwide in military applications as well as civil applications. The air conditioners range from 6 to 23kW. As designer and manufacturer, we can also help to develop the model in accordance to your requirements.